Car shopping in the Rye area? 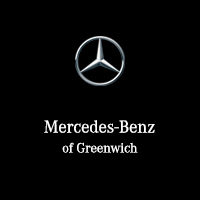 Look no further than the new Mercedes-Benz E-Class inventory at Mercedes-Benz of Greenwich. With a COMAND® Multimedia system, refined and luxurious interior materials, and a FrontBass® audio system, just to name a few features, the E-Class will spoil you. Our sales team is standing by to get you behind the wheel of the luxury model that best suits your budget and driving needs, and we always have rotating vehicle specials to make the car-buying process that much less stressful. LOADED WITH VALUE! Comes equipped with: Black, Premium 1 Package. This Mercedes-Benz E-Class also includes Air Conditioning, Clock, Climate Control, Tachometer, Dual Zone Climate Control, Memory Seat Position, Cruise Control, Homelink System, Power Steering, Telescoping Steering Wheel, Steering Radio Controls, Sunroof, Power Mirrors, Moonroof, Lthr. Steering Wheel, Driver Airbag, Passenger Airbag, Intermittent Wipers, Side Airbags, Rear Defogger, Security System, Anti-Theft, MP3, Satellite Radio, Navigation System, Center Arm Rest, Remote Fuel Door, Remote Trunk Lid, Vanity Mirrors, Heated Mirrors, Rear Fog Lamps, Child Proof Door Locks, Daytime Running Lights, Reverse Camera, Side Curtain Airbags, Roll Stability Control, Tire Pressure Monitor, Carpeted Floor Mats, Overhead Console, Aux. Audio Input, HD Radio. Air Conditioning, Climate Control, Dual Zone Climate Control, Cruise Control, Power Steering, Power Mirrors, Leather Steering Wheel, Memory Seat Position, Clock, Tachometer, Homelink System, Telescoping Steering Wheel, Steering Wheel Radio Controls, Sunroof, Moonroof, Driver Airbag, Passenger Airbag, Side Airbags, Security System, Rear Defogger, Intermittent Wipers, Anti-Theft, Aux. Audio Input, Carpeted Floor Mats, Center Arm Rest, Child Proof Door Locks, Daytime Running Lights, Heated Mirrors, Navigation System, Overhead Console, Rear Fog Lamps, Remote Fuel Door, Remote Trunk Lid, Reverse Camera, Roll Stability Control, Side Curtain Airbags, Tire Pressure Monitor, Vanity Mirrors - Dealer not responsible for typographical errors of any sort, including but not limited to pricing. Exact mileages may vary. -LOADED WITH VALUE! Comes equipped with: Black, Premium 1 Package. Comes equipped with: Polar White, Premium 1 Package. LOADED WITH VALUE! Comes equipped with: Selenite Grey Metallic. This Mercedes-Benz E-Class also includes Air Conditioning, Clock, Climate Control, Tachometer, Dual Zone Climate Control, Memory Seat Position, Cruise Control, Homelink System, Power Steering, Telescoping Steering Wheel, Steering Radio Controls, Sunroof, Power Mirrors, Moonroof, Lthr. Steering Wheel, Driver Airbag, Passenger Airbag, Intermittent Wipers, Side Airbags, Rear Defogger, Security System, Anti-Theft, MP3, Satellite Radio, Navigation System, Center Arm Rest, Remote Fuel Door, Remote Trunk Lid, Vanity Mirrors, Heated Mirrors, Rear Fog Lamps, Child Proof Door Locks, Daytime Running Lights, Reverse Camera, Side Curtain Airbags, Roll Stability Control, Tire Pressure Monitor, Carpeted Floor Mats, Overhead Console, Aux. Audio Input, HD Radio. Air Conditioning, Climate Control, Dual Zone Climate Control, Cruise Control, Power Steering, Power Mirrors, Leather Steering Wheel, Memory Seat Position, Clock, Tachometer, Homelink System, Telescoping Steering Wheel, Steering Wheel Radio Controls, Sunroof, Moonroof, Driver Airbag, Passenger Airbag, Side Airbags, Security System, Rear Defogger, Intermittent Wipers, Anti-Theft, Aux. Audio Input, Carpeted Floor Mats, Center Arm Rest, Child Proof Door Locks, Daytime Running Lights, Heated Mirrors, Navigation System, Overhead Console, Rear Fog Lamps, Remote Fuel Door, Remote Trunk Lid, Reverse Camera, Roll Stability Control, Side Curtain Airbags, Tire Pressure Monitor, Vanity Mirrors - Dealer not responsible for typographical errors of any sort, including but not limited to pricing. Exact mileages may vary. -LOADED WITH VALUE! Comes equipped with: Selenite Grey Metallic. Comes equipped with: Lunar Blue Metallic, Premium 1 Package. Comes equipped with: Premium 1 Package, Selenite Grey Metallic. Comes equipped with: Iridium Silver Metallic, Premium 1 Package. LOADED WITH VALUE! Comes equipped with: Lunar Blue Metallic, Premium 1 Package. This Mercedes-Benz E-Class also includes Air Conditioning, Clock, Climate Control, Tachometer, Dual Zone Climate Control, Memory Seat Position, Cruise Control, Homelink System, Power Steering, Telescoping Steering Wheel, Steering Radio Controls, Sunroof, Power Mirrors, Moonroof, Lthr. Steering Wheel, Driver Airbag, Passenger Airbag, Intermittent Wipers, Side Airbags, Rear Defogger, Security System, Anti-Theft, MP3, Satellite Radio, Navigation System, Center Arm Rest, Remote Fuel Door, Remote Trunk Lid, Vanity Mirrors, Heated Mirrors, Rear Fog Lamps, Child Proof Door Locks, Daytime Running Lights, Reverse Camera, Side Curtain Airbags, Roll Stability Control, Tire Pressure Monitor, Carpeted Floor Mats, Overhead Console, Aux. Audio Input, HD Radio. Air Conditioning, Climate Control, Dual Zone Climate Control, Cruise Control, Power Steering, Power Mirrors, Leather Steering Wheel, Memory Seat Position, Clock, Tachometer, Homelink System, Telescoping Steering Wheel, Steering Wheel Radio Controls, Sunroof, Moonroof, Driver Airbag, Passenger Airbag, Side Airbags, Security System, Rear Defogger, Intermittent Wipers, Anti-Theft, Aux. Audio Input, Carpeted Floor Mats, Center Arm Rest, Child Proof Door Locks, Daytime Running Lights, Heated Mirrors, Navigation System, Overhead Console, Rear Fog Lamps, Remote Fuel Door, Remote Trunk Lid, Reverse Camera, Roll Stability Control, Side Curtain Airbags, Tire Pressure Monitor, Vanity Mirrors - Dealer not responsible for typographical errors of any sort, including but not limited to pricing. Exact mileages may vary. -LOADED WITH VALUE! LOADED WITH VALUE! Comes equipped with: Polar White, Premium 1 Package. This Mercedes-Benz E-Class also includes Air Conditioning, Clock, Climate Control, Tachometer, Dual Zone Climate Control, Memory Seat Position, Cruise Control, Homelink System, Power Steering, Telescoping Steering Wheel, Steering Radio Controls, Sunroof, Power Mirrors, Moonroof, Lthr. Steering Wheel, Driver Airbag, Passenger Airbag, Intermittent Wipers, Side Airbags, Rear Defogger, Security System, Anti-Theft, MP3, Satellite Radio, Navigation System, Center Arm Rest, Remote Fuel Door, Remote Trunk Lid, Vanity Mirrors, Heated Mirrors, Rear Fog Lamps, Child Proof Door Locks, Daytime Running Lights, Reverse Camera, Side Curtain Airbags, Roll Stability Control, Tire Pressure Monitor, Carpeted Floor Mats, Overhead Console, Aux. Audio Input, HD Radio. Air Conditioning, Climate Control, Dual Zone Climate Control, Cruise Control, Power Steering, Power Mirrors, Leather Steering Wheel, Memory Seat Position, Clock, Tachometer, Homelink System, Telescoping Steering Wheel, Steering Wheel Radio Controls, Sunroof, Moonroof, Driver Airbag, Passenger Airbag, Side Airbags, Security System, Rear Defogger, Intermittent Wipers, Anti-Theft, Aux. Audio Input, Carpeted Floor Mats, Center Arm Rest, Child Proof Door Locks, Daytime Running Lights, Heated Mirrors, Navigation System, Overhead Console, Rear Fog Lamps, Remote Fuel Door, Remote Trunk Lid, Reverse Camera, Roll Stability Control, Side Curtain Airbags, Tire Pressure Monitor, Vanity Mirrors - Dealer not responsible for typographical errors of any sort, including but not limited to pricing. Exact mileages may vary. -LOADED WITH VALUE! Comes equipped with: Premium Package, Selenite Grey Metallic. LOADED WITH VALUE! Comes equipped with: Obsidian Black Metallic. This Mercedes-Benz E-Class also includes Air Conditioning, Clock, Climate Control, Tachometer, Dual Zone Climate Control, Cruise Control, Homelink System, Power Steering, Telescoping Steering Wheel, Steering Radio Controls, Sunroof, Power Mirrors, Moonroof, Lthr. Steering Wheel, Driver Airbag, Passenger Airbag, Intermittent Wipers, Side Airbags, Rear Defogger, Security System, Anti-Theft, MP3, Surround Sound, Air Conditioned Seats, Bluetooth®, Center Arm Rest, Remote Fuel Door, Remote Trunk Lid, Vanity Mirrors, Heated Mirrors, Rear Fog Lamps, Child Proof Door Locks, Daytime Running Lights, Front AC Seats, Reverse Camera, Side Curtain Airbags, Roll Stability Control, Tire Pressure Monitor, Premium Sound, Carpeted Floor Mats, Overhead Console, Aux. Audio Input. Air Conditioning, Climate Control, Dual Zone Climate Control, Cruise Control, Power Steering, Power Mirrors, Leather Steering Wheel, Clock, Tachometer, Homelink System, Telescoping Steering Wheel, Steering Wheel Radio Controls, Sunroof, Moonroof, Driver Airbag, Passenger Airbag, Side Airbags, Security System, Rear Defogger, Intermittent Wipers, Anti-Theft, Air Conditioned Seats, Aux. Audio Input, Bluetooth®, Carpeted Floor Mats, Center Arm Rest, Child Proof Door Locks, Daytime Running Lights, Front AC Seats, Heated Mirrors, Overhead Console, Premium Sound, Rear Fog Lamps, Remote Fuel Door, Remote Trunk Lid, Reverse Camera, Roll Stability Control, Side Curtain Airbags, Tire Pressure Monitor, Vanity Mirrors - Dealer not responsible for typographical errors of any sort, including but not limited to pricing. Exact mileages may vary. -LOADED WITH VALUE! Comes equipped with: Obsidian Black Metallic. When you’re ready to take your Stamford commute to the next level, stop by Mercedes-Benz of Greenwich to pursue the Mercedes-Benz E-Class for sale in Greenwich, CT! Contact us today and we’ll walk you through popular model comparisons like the E-Class vs. Audi A6! If you’re still making your decision, feel free to browse our E-Class Cabriolet inventory as well.